This time, we do not want to talk about the theory of the stochastic indicator trading, but how one uses the slow stochastic correctly without relying on guessing it or misusing the stochastic indicator. It is amazing how many technical traders still misuse the stochastic oscillator. In fact, the most misused technical indicator is the slow stochastic. Moreover, to make the matter worst, it is also the most popular momentum oscillator. The question is who cares? I do care but not because I share the same first name with George Lane, the founder of the stochastic oscillator, instead for the simple fact that the end result of misusing the stochastic indicator at a higher scale over of a long time is the financial markets distortion. Clearly, a distorted financial market is the enemy of all traders and investors. Surprisingly, many market participants have not yet grasped the danger of market distortions. So How Do Day And Swing Traders Misuse Slow Stochastic Indicator? They buy the asset any time the slow stochastic is oversold, and sell it as soon as the oscillator reaches the overbought zone. They do not care whether the price is in a rising, declining or horizontal channel. Those crazy stochastic trading methods are deployed on the one, two, three, and five-minute charts all the way to the higher time frames. Those traders are trading the slow stochastic instead of the price itself. However, traders who are trading something else that is not the price-action are dangerous market participants, because they will hurt themselves and others. Truly, one does not want them around oneself. Just think of them as people who close their eyes, but continue to wield their swords all over the place. The problem that we face today is that traders know so much about the stochastic indicator, but little about how to use the slow stochastic accurately like a pro. Yes, there are times when one must sell when the slow stochastic is oversold. stochastic oscillator is overbought. Those are the stochastic breakout trading signals. Furthermore, to trade the slow stochastic like a pro, one must understand how to recognise a valid oversold or overbought stochastic trading opportunity. To become a better stochastic trader, one must grasp the primary role of the stochastic indicator. Moreover, one ought to use it together with the market patterns and price-action. and why the price must always confirm the slow stochastic trading signals. Obviously, it is easier to trade the MACD indicator in comparison to the slow stochastic indicator. However, the first thing one must learn is the role of MACD indicator. That first understanding will help one to sharpen one's technical trading. Apart from the MACD's role, one wants to understand the MACD indicator itself, MACD signal line, MACD zero line and MACD histogram. Here again, so much articles have been written about MACD indicator (theory), but I encourage MACD and technical traders to check out our various web pages relating to the Moving Average Convergence Divergence (MACD) because we have analysed the MACD indicator from a different angle by focusing on how to master MACD indicator like an expert. That “extra mile MACD trading education” is our aim at Stochastic-MACD. Surely, we will continue to add more MACD trading web pages to this site, and will not divert from our goal to share with traders what does it really take to trade MACD indicator like a professional or expert. Like many other technical traders, my first two favourite technical indicators were MACD and the slow stochastic. That is why I gave the name stochastic-macd to this website. I was not using the standard MACD (12, 26, 9) but instead my own customised MACD (8, 24, 9) on the three-minute chart. During that early stage in my trading life, I did not fully grasp how to take advantage of the MACD moving averages divergence and convergence trading signals. You see, that MACD moving averages divergence relates to the separation (wide angle) of the moving average twelve from twenty-six. It indicates a surge in either a bullish or bearish momentum. Moreover, it has nothing to do with the normal MACD divergence trading. So, those are the MACD practical trading tips and tricks that we want to share with the die-hard MACD traders. Though, I do not share the same first or last name with Gerald Appel (founder of MACD indicator), I do share the same acute understanding of what is MACD, its purposes and how to trade MACD indicator precisely like a pro. There is day trading but there is also day trading like a pro. what is day trading, people only answer that question but talking about various day trading methods or strategies without fully answering that critical question. closes it before that trading session ends. Day trading like a pro is about finding first a high probability day trading set-up, validating it on a higher time frame, and applying a valid different times trading method to open the trade, managing it and making sure one closes it before that trading session ends. Simply put, to day trade is to apply the day trade drill without disregarding the trading triangle. That is about day trading, and day trade like a professional. Yes, one can use any trading system, method or strategy, but one must follow the day trading drill which is about what is day trading at the first place. If one is using any trading system, but one continues to violate the day trading drill, one should stop and learn to master what is day trading like a pro. enough, I heard enough, shut up please, who are you and smash their latest trading computers. However, most will agree that it makes sense to learn to drive on a motorway or highway before trying to compete with a Formula One (F1) driver on a racing course. Won't they? or stop and start doing something about it. What Should A Day Trader Do? The first thing to do is to apply the day trading drill (set-up, signal, entry). The second thing one must do is to develop the mindset of a professional day trader. and just continue to learn how to adopt the mindset of a professional trader. Is that too much to do? Yes, but just take it one step at time, and keep enhancing your day trading skills. To cut a long story short, to day trade profitably, one must become a better day trader. To day trade profitably in the financial markets, one ought to learn how to day trade like a pro. And to reach that level, one must gradually learn how to master the day trading drill, plus keep rectifying past day trading mistakes until one is ready to switch from the demo day trading account to an active day trading account. Many agree that swing trading is easier than day trading because, it is not fast and furious like day trading. One is not rushing into swing trades like a mad dog, but one is more composed, one has more time to view the target, aim peacefully before hitting the trigger to buy or sell. From that view point, it looks easier. It looks even easier when a swing trader is looking at a historic chart. You know how the price is doing almost the same thing over and over (break above or below, retest and turn-around). So you sit there, and you think and say “I can beat the financial markets like a profitable swing trader”. May be. Just before, you insult your boss for the last, and hand in your resignation, just ask why so many people have failed as swing traders. drawbacks. They think that swing trading is easier, and they could finally get something out of the markets. However, it is a mistake to turn into a swing trader without becoming first a swing trader. How to become a better swing trader? What is precise swing trading? What are the best times frame for swing trading? How to prepare for swing trading? What is weekly chart swing trading? How to manage risk when swing trading? And they do not have the correct answers to many swing trading questions. to become a competent swing trader. Though, swing trading looks easier than day trading, it is not for the weak traders or beginners. Yes, a beginner swing trader can gently learn how to swing trade like a pro, but it takes time and discipline. Stochastic-macd delights in teaching technical traders for free how to become a fully fluent swing trader who always adheres to the trading drill, triangle and adopts the mindset of professional swing trader. At Stochastic-macd, one will find essential swing trading materials that will help one to swing trade like a professional. To swing trade is mainly about understanding the financial markets, its leaders, sectors and most importantly its players. A swing trader is the follower of the position traders like day traders who are also following the swing traders. A swing trader ought to keep the left hand side eye on other swing traders, but the right hand side eye should not close as it digs into the activities of the position traders. A successful swing trader is never lazy, he is also like a pilot who masters the preparation for the take off, take off itself, navigation rules, auto-piloting, handling adverse weathers and the safe landing of the plane with its crews and passengers. That is it. Do you want to swing trade? Then, begin to think like a pilot. Know that one can not just start making money like a swing trader if one is not a qualified swing swing trader even if one is using the TSTW SYS 008. Finally, though swing trading is not that easy as it seems to many, it becomes a little bit easier to those swing traders who have accumulated tremendous and valuable experience over the years in the highly sophisticated financial markets landscape. My favourite stock index is the Dow Jones Industrial Average (DJIA). Most professional traders trade stock indices because they are very liquid and move fast. Their components are major blue chip stocks that hedge funds, mutual funds, investment banks, private investors are loading continuously. Really, a technical day or swing trader ought to learn how to trade indices like a professional. As one is trading those indices, one will quickly find out if one is truly ready to compete with the pros or not. It does not matter whether one is trading FTSE-100, DAX-30, CAC-40, NASDAQ-100, DOW-30, SENSEX, NIKKEI 225 , NIFTY 50 or the S&P 500. Note that SP-500 and NASDAQ-100 do not move very fast unless there is a wild economic news. To trade indices like a pro, one will not get away with cutting corners. Always take into consideration the relating market leaders, and prioritise both the price-action and market patterns. You will be using amongst other things the following: trend lines, channels, pitchfork tool, market geometry, trading drill, trading triangle and the top-down trading method. A stock indices trader ought to know how the professional traders trade. That indices trader will never place a trade without checking the economic news relating to both market leaders and indicators. 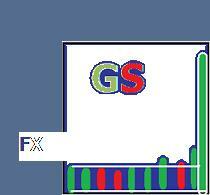 the market indicators such as gold, silver, crude oil and the Dollar-Yen. A trading system is a trading tool that a trader uses to buy and sell in the financial markets. However, the most powerful and reliable trading tool is the trader. Nothing more or less. A more able technical trader will get the best out of the same trading system than another that has just started learning to trade. Though, both traders are using the same trading system, one will say this is a useless trading system, but the other may say “eh; this is a hard working trade system”. What he means is “what is a valid system I have just applied like a pro”. All the credits go to the trader because if he did not master that valid trading system, he won't have gained anything from it. Will he? Though, he is quite a smart trader, he still needs to master the system first. So, we are talking about a reliable trading system, mastering it, and an able trader. After all, the key element here is the able technical trader. Yes, there are wild wild west (crazy and useless) trading systems out there. The quickest way to detect a useless trading system is to check if it is based on a market stable data (market principle that is universally true). One example of financial markets datum is “no financial instruments go up or down for no reasons, they are always headed to a specific price target.” A trading system can be based on one or more market stable datum. One can also check if the system is disregarding the three market patterns. Truly, the foundation of a trading system relies on the financial markets' principles that are universally true. I built the TSTW 24, TSTW SYS 08, TSTW SYS 008, TSTW SYS 0008 and the TSTW SYS 00008. Today one can purchase the TSTW 24 (day trading) or TSTW SYS 008 for swing trading. The other TSTW systems are not more available to the public. New traders should stay away from the TSTW SYS 008 as it requires more discipline. Similarly, traders who are looking for a magic formula should not buy the TSTW 24. In my experience, I realised that a trader needs a valid trading system that works, but he or she must learn to master it. There is no way to bypass that. A trading system will never replace a technical trader. Moreover, a trading system is not a trading robot or software. Sometimes, traders who refuse to take control of their destiny will purchase a trading robot or software. There is nothing wrong with that unless one understands trading software pitfalls. is it a valid trading? And is one a more able technical trader? Truly, when it comes to reviewing a trading system, apart from the validity of the system, one ought to question also the ability of the trader. What should I say to traders, work more on your ability to day or swing trade first, keep improving, trade more the price action instead of the technical indicators and everything else will take care of itself. A trading system is a trading tool, and will never replace its user (trader). A professional trader who is employed by a hedge fund manager or investment bank must make money for its employer or he will have no more job. For that professional trader, his survival depends on his performance. Therefore, he or she must adhere to the best trading practice in the financial markets. He needs to know what he is trading; meaning that he understands those who are also trading it, how it moves, what influences that financial instrument, and the best suitable trading tools or strategies to use. they turn colossal, anticipating the risk and surge in volatility before they occur by hedging positions accordingly; and banking profit in due course before the markets reverse. without losing the initial capital. Though, no one is born as a professional trader, one can learn to trade like a pro. It is a mistake to day or swing trade or even invest in the financial markets without knowing or learning first how to trade or invest like a pro. The market is controlled by the pros, therefore, retail traders or speculators ought to understand the activities of the professional traders to avoid losing their initial capital. Everyday, new traders are jumping into the waters of the financial markets like a big fish only to end up in the frying pan of a professional trader. To trade like a professional trader is to trade like a big fish without being fried. Generally, a proprietary trading method is one that is not exposed to the public. It is an exclusive trading method prepared for a specific task, and used by the privileged few. For example a hedge fund or investment bank has their proprietary trading tool. The rule number one is never to share, sell or divulge a proprietary trading material to unauthorized person or group. Just remember that if it is stamped top-secret, confidential, proprietary or something like that, do not share or even talk about it to impress your wife, grand-mother or friends in a forum. Zip it up. Okay? One can not also use a proprietary trading tool for one own gain unless one is authorised to do so. I have written few proprietary trading material over the years. I did share some of my own proprietary trading tools but I will sue anyone that reveals my proprietary trading material about the short and long term equilibrium price levels. Though, I did talk about those levels in few YouTube videos, I have never reveal the formula. The funny thing about the Bollinger bands is that many technical traders just place it on their stock charts just for fun. Like many technical traders, I was doing almost the same thing apart from checking the intensity of the financial instruments' volatility. Like many, I was also using religiously my default Bollinger bands settings (20, 2) until one day my eyes pop out to the point of touching my computer screen (this is to make you laugh a bit). At that point in time, I realised that the Bollinger bands are not just for decoration but to pinpoint precise overbought and oversold trading signals. period thirty. So, you wonder how I come up with all this. Well, the simplest but correct answer is just keeping my eyes wide open all times. That desire to understand more, asking why that trade fails, why that one works so beautifully, why the price did what it is doing, all those questions did help me to understand more technical trading and the Bollinger bands. I can proudly say that I have a better understanding of the Bollinger bands than many. And I mean it. Look over the years, I come across different types of traders and it is a privilege to have that opportunity. One day, I ask the question that was what technical traders do care about? Strangely a trader's answer will be his mother, another may say his cat, few may market timing, more can say using a stop-loss more accurately and others can say to make a quick buck. So now, you have many answers. One may also wonder what the mother has gotten to do with technical trading? And surprisingly, that trader will tell you something like “well, whenever I buy nice flowers for my mother, I have more winning trades.” Or he or she may say that whenever, I am upset with my cat I could not make better trading decisions. So the question remains what technical traders do care about? After many months, I nailed the correct answer. Technical traders only care about things that work in the financial markets. Give them those, they are happy people. They do not care about long stories or theories, all they want is something practical that can help them achieve their goals in the financial markets. So for trading the Bollinger bands more precisely like a pro, I discovered that trading signals that occur when one combines a specific Bollinger bands setting with a correlated moving averages crossover are more reliable than others. It is our intention to continue to work harder for technical traders, and share more practical and powerful Bollinger bands trading strategies that work for day and swing traders. Forex trading is a different beast or ball game in comparison to other financial markets. My first advice to currencies traders is this “do not trade Forex if you do not care about checking the economic news”. Or trade something else. One can get away with it sometimes when one is trading something else, but with the currencies trading one must always check the news, when they are due, their impact or volatility. In your own time, check out our various web pages about Forex trading or training education. Be sure to study those free tutorials slowly but gradually so you may understand what it takes to conquer the currencies markets. Just know that as a Forex trader, one is competing with the central banks such as the Bank Of England, Japan, ECB, Swiss Bank, and others without forgetting the almighty US Federal Reserve. Consider those big currency players like the real makers and movers of the Forex market. Indeed, position FX traders such as hedge funds and other investment banks only trade currencies in line with those central banks' monetary policies. Whatever you do in the Forex market, keep your mouth and nose clean, take profit when you are winning or secure gains before another economic news throws the spanner in it one more time. Always consider yourself as a little fish in big waters when it comes to Forex trading. Learn to grasp the characteristic of each currency pair so you may know how to trade it profitably. Trade only friendly currency pairs and stay away from those that are not. Master the correlation between currency pairs and put in place a solid hedging strategy. Also, do not forget the credit rating agencies such as Moody's Investors Service, Standard & Poor's (S&P) and Fitch Ratings because they can come in any time and change the colours of the FX market trading from blue to red (bloody). Remember to trade Forex always on the edge and trade the price-action more than anything else. Use the simplest technical indicators such as moving averages crossover, tend lines, channels, market geometry and any simple trading tool that does not ignore the price-action. Also feel free to subscribe to 24Forextrader YouTube channel. 1/ Do you want to learn and master stochastic trading? 2/ Do you want to become a better MACD indicate trader? 3/ Do you want to become a profitable day trader? 4/ Do you want to learn to swing trade like a pro? 5/ Are you looking for a free proprietary trading tool? 6/ Are looking to use trading systems that work for free for fourteen days? 7/ Or do you want to become a specialist Bollinger bands strategist? 8/ Would you rather learn how to become a better Forex trader? 9/ Is it your goal to learn how to trade like a pro? 10/ And lastly, are you looking forward to learning how to trade indices like a pro? at stochastic-macd.com. I hope, you find it useful and will put it into use to improve your day and swing trading strategies. I also hope, in the months to come, this website will help you become a better day and swing trader. If you enjoy it like I do, please do not hesitate to share it on your favourite social websites. By doing so, you are giving us the thumbs up and as always we are very grateful. Just one social share make me dance the whole day. We wish you the very best in your trading. Please, remember to bookmark this page so you can come back to it quickly for more free trading education. This article is written by George Beaulieu, an ordinary technical trader (founder of stochastic-macd.com website) who delights in helping ordinary traders compete with the best professional traders out there. 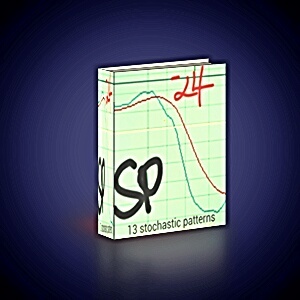 There are thirteen specific stochastic patterns. Two are complex patterns but many are purest set ups. Learn to trade the slow stochastic like God. Though, the slow stochastic is very popular technical indicator, only few know how to master it. The purpose of www.stochastic-macd.com is to educate interested parties in mastering how to day and swing trade currencies, stocks, futures, commodities, options, crude oil and gold like a pro and to give them free proprietary trading tools. Our first priority is to deliver high standard educational trading material and trading tools that work.